Email marketing is an extremely effective way to engage with your business’ customers. A well-executed restaurant email newsletter lets your customers stay in-the-know about what’s new at your restaurant. Just how effective is email marketing for businesses? Today, 72 percent of consumers prefer email as their source of business communication. Emails also provide a healthy return on investment. For every dollar you spend on email marketing, you can expect to make a return of $38. You’ve collected a number of customer emails through in-house and online efforts. You have some exciting new events coming up, a brand new menu being released, and other ideas for customer communications. You’ve invested in an email marketing platform, like Constant Contact, to get the ball rolling. It’s about time to create and send your first email newsletter. Don’t know where to get started? Read on for step-by-step tips on creating an appealing restaurant email newsletter. How often do you want your restaurant newsletter to be distributed? Getting in the habit of scheduling these communications is wise. Are you always changing specials and events? Maybe weekly or bi-weekly is the way to go. Don’t want to overwhelm your readers? A monthly or bi-monthly newsletter may do the trick. If you don’t have too many updates to share, you may want to spread it out and only offer a seasonal newsletter. Whatever you choose, keep it consistent. After a while, customers will be expecting your newsletter in their mailbox and will look out for it if it’s well-executed. 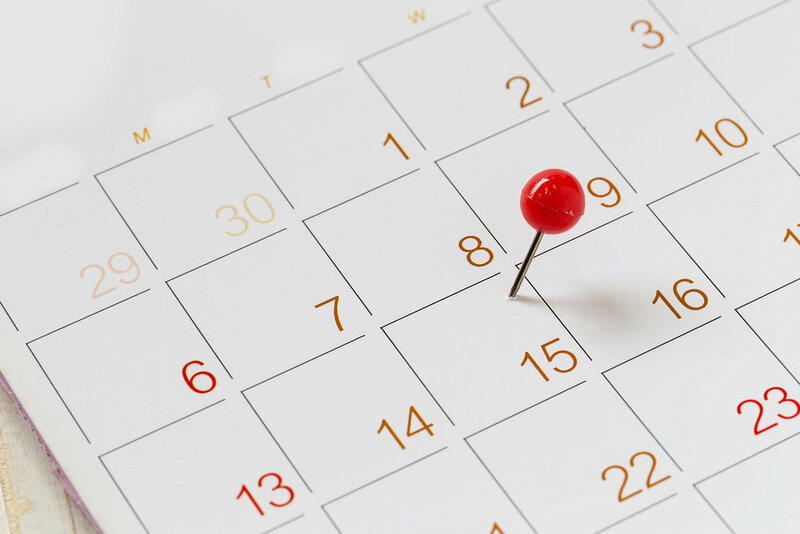 Once you’ve determined a schedule, mark it on your calendar. You can set a reminder on your smartphone to create your email or if you use Outlook or Gmail, schedule recurring events so you always remember to complete the task. Newsletters are great because you can fit a bunch of small tidbits into one succinct communication. Think about the most important updates you want to share with your customer base and outline those in order from most important (or exciting) to least. Draw people in with an enticing update, whether it’s a special you’re running for the month or an upcoming event with a big-name band. The rest of your chosen topics can follow. Of course, you want to keep your email digestible and fun, so don’t make the newsletter too long. Choose around 5-7 solid topics to include. If it’s a quick update, you can get it across within the newsletter. But, if you’re doing a long feature or interview, insert a call-to-action (CTA) button that links directly to a blog about the topic. There, you can continue telling the whole story. After you’ve chosen your features, decide on the content you’ll include in each section for the first newsletter. Keep it clever, quick, and informative. You want to keep your customers engaged, so make sure the content is compelling enough for them to stay interested. Once you’ve established the outline, it’s time for design! Separate your newsletter into clear sections. Most email tools have premade layouts you can choose from, and if you’re being creative, you can start from scratch. You can even create eye-catching headers for each new segment. Free tools like Canva, and more advanced programs, like Adobe Photoshop, can help you achieve the look you’re going for. It’s important to stay true to your restaurant brand when creating your newsletter design. While 26% of SMBs polled use email marketing for sales, just 7% use email as a brand-building tool. The content plays a large part in brand building, but the design does as well. Your newsletter needs to be cohesive with your color scheme and restaurant concept. If the theme of your Mexican restaurant is bright hues of green, yellow, and blue, you don’t want your email to be muted tones of brown, black, and purple. It just doesn’t fit! If your restaurant has established brand guidelines, stick to those in the newsletter. Choose fonts that are easy to read. Most people are scrolling through email on their phones, so you don’t want text to be painfully small or too ornamental. Clean, readable fonts, like sans serifs, will work well. To get some more font ideas, this is a great read on the readability and usage of fonts. A picture may be worth a thousand words, but it could also be worth even more email opens. According to Hubspot, 65 percent of users like emails that are mostly made up of images, while only 35 percent prefer their emails to be text heavy. Choose photos wisely; you don’t just want to throw graphics into your newsletter to fill in gaps. Make sure your photos are high-quality images that capture your brand. If you’re photographing food and drinks, get the lighting right. Blurry, unfocused, and dark photos won’t enthrall readers. You don’t necessarily need a fancy point and shoot camera and corresponding equipment to snap something great. If you have a newer smartphone, like the iPhone X or Google Pixel 2 XL, you can capture some pretty impressive photos with minimal effort. This newsletter update from Chaia showcases a new menu item and makes it look pretty delicious! What’s a really awesome email without anyone to send it to? Make sure that your contact list is in an appropriate file. Email marketing platforms usually like the information in an excel or CSV format for easy digestion. Separate the information into columns, like First Name, Last Name, and Email Address. Save the file in a safe spot (I suggest creating a folder specifically for email lists) and name it using the month the newsletter is going out (i.e. Email List_September 2018 Newsletter). Then, upload it to the platform and use that same name to save it there as well. You’ve established your voice and brand identity, wrote some killer content, and perfected the newsletter design. What’s next? Personalization and testing. If you’ve received an email – and I’m sure you’ve gotten thousands – you know that some companies choose to make the email more personal. It’ll say “Hi Taylor,” before going into the body text. This personalization works! Personalized email messages improve click-through rates by an average of 14% and conversions by 10%. The inclusion of a first name makes the email feel less like it was sent to the masses and more like you’re familiar with your customer base. That’s why it’s extremely important to capture names when collecting email addresses. You might be thinking it’ll be really time-consuming to write a tailored email to each person. And you’re right! But, email marketing tools have made it easy to address recipients directly. By using custom fields, you can include first names and even change how the sender looks. For example, instead of just a generic email from City Bistro, you can have it sent from Mike at City Bistro to make the email come across more human. Depending on what email marketing provider you use, you can find helpful how-tos on making dynamic content. Here is an example from Constant Contact. You want to make sure everything is in tip-top shape before pressing send to an email list. Send test emails to your own email address and read through the email as if you were the customer. Click on each link you’ve provided to make sure they’re going to the right place. Test the CTA buttons to ensure they work. Make sure your images are clear and attractive. Even small details like the text color being right can make a huge difference. Once you feel confident that your email newsletter is ready to hit several inboxes, schedule it! You can choose to send the email right then and there, but from experience, I like to schedule it out at a later date (in case you wake up in the middle of the night realizing you want to edit something). Do some research on the best time to send emails. According to Convince & Convert, the best time to send emails to consumers is Saturday at 12 AM (way, way past my bedtime!) This could be the sweet spot for you, but you won’t know until you try. In the beginning, test out sending the email at different times and see what has the best open and click rate. You can even do some A/B testing (depending on what your email marketing tool permits) and split the email list up into two different send times or days. With analytics, you can see which email time performed better and use that for future reference. Also consider the content you’re sending when deciding on a time to schedule the email for. Do you have happy hour deals Monday through Friday? Then, Saturday seems like the perfect time to inform customers about the week ahead. Checking out how your email performed is essential to making sure you’re getting the most out of email marketing efforts. You can find out how many opens and clicks you got, as well as who unsubscribed from your email and who bounced. Bounces mean that the email address you sent the newsletter to was invalid, so remove those from your future lists. To further drill down on email performance, you can analyze which content was most popular. You will be able to see how many clicks each CTA and link received to determine what interested your readers the most. If the third topic received the most attention, try moving it up to be the first section in your next email. Marketing includes a fair share of trial and error, so don’t be afraid to make some adjustments along the way. Email marketing is a great way to keep your customers engaged and provide them with essential updates and happenings at your restaurant. A customer newsletter keeps your diners in-the-know by providing information on multiple topics at once. If you’re looking to improve your overall email marketing strategy, consider creating a newsletter and keep the dialogue between your business and your customers cooking. We hope these tips will help you to get started!